It’s that time of year when people start making resolutions to improve something about themselves — and that can include everything from weight loss to reading more fiction. Unfortunately, research shows that few New Years resolutions actually stick; most of them are forgotten about by the time Valentine’s Day rolls around. What are you vowing to do better (or to give up) in 2018? Your Carrollton dentist has an idea: start with your smile. By investing in cosmetic dentistry this year, you can make some changes that will actually stick! The wonderful thing about cosmetic dentistry is that the results can last for years with proper maintenance. It’s not some fad diet or pie-in-the-sky resolution that you know probably won’t ever happen. When you partner with an excellent cosmetic dentist, you can enjoy a smile that truly sparkles for a long time to come. There are a number of options available in cosmetic dentistry, from non-invasive treatments that can be completed in a single appointment to more complex ones that may require extra time and an advanced procedure. The approach that is right for you depends on the health and appearance of your teeth, your smile goals, your budget, and other factors. Porcelain veneers, which are thin, tooth-shaped coverings that are applied to the front side of the teeth that show when you smile. They can remake the size, shape, color, and overall appearance of your teeth. Professional teeth whitening, which breaks through stains to help you smile up to 8 shades brighter after a single treatment. In-office and take-home methods are available to help you whiten at the shade you are most comfortable with. Invisalign clear braces straighten your teeth without the need for metal brackets and wires. This option is also removable, meaning you will take it out to eat and drink and before you brush and floss. Direct bonding, a non-invasive treatment that allows your dentist to rebuild missing or damaged tooth enamel using a tooth-colored composite resin. Most direct bonding is completed in a single appointment and can last for years. 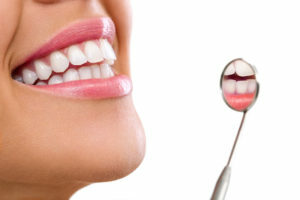 Many patients are eligible candidates for cosmetic dentistry. If you are unhappy with the appearance of your smile, or if you just know your teeth could look better, then we suggest making 2018 the year you get the grin you deserve. Veneers, whitening, Invisalign, or direct bonding could be just the solution you have been hoping for! As your cosmetic dentist in Carrollton, we can’t wait to help you enjoy all the benefits of a clean, healthy, and beautiful smile. At Celebration Family Dental, our team of doctors is committed to providing the highest quality care in a friendly, warm environment. To learn more about our comprehensive services or to get started with cosmetic dentistry, you are invited to contact the office at 469-892-6647.